With the season finale of How To Get Away With Murder airing last week, The Catch, the new show that’s executive produced by Shonda Rhimes and Betsy Beers, is set to premiere on March 24. The premiere date was announced on Nov. 16, 2015 by Vulture. The show has been heavily promoted the last few months on the network, including multiple commercials during the TGIT programming block and during the Oscars. The show stars Mireille Enos (who worked on The Killing) and Peter Krause (who wrapped his six-season run on Parenthood in January of 2015 when the show ended) as Alice Vaughan and Benjamin Jones, respectively. The show also stars Alimi Ballard, Jay Hayden, Jacky Ido, Rose Rollins, Sonya Walger and Elvy Yost. The plot of the show revolves around Vaughan, who is a private investigator, and Jones, her fiance who happens to be a con artist and is running a scam on her. The show also revolves around her trying to solve other cases while trying to track down Jones. Over the summer, there was some behind-the-scenes drama on the show when the original showrunner Jennifer Schuur and Josh Reims, one of the writers, left due to creative differences. Allan Heinberg took over as showrunner, according to Entertainment Weekly. The review notes that, while viewers find out the scam between Vaughan and Jones in the first hour of the show and doesn’t leave much room for imagination, there’s plenty of potential plotlines that could extend through different episodes of the season. The Catch joins Shondaland veteran shows Grey’s Anatomy and Scandal in the TGIT lineup. 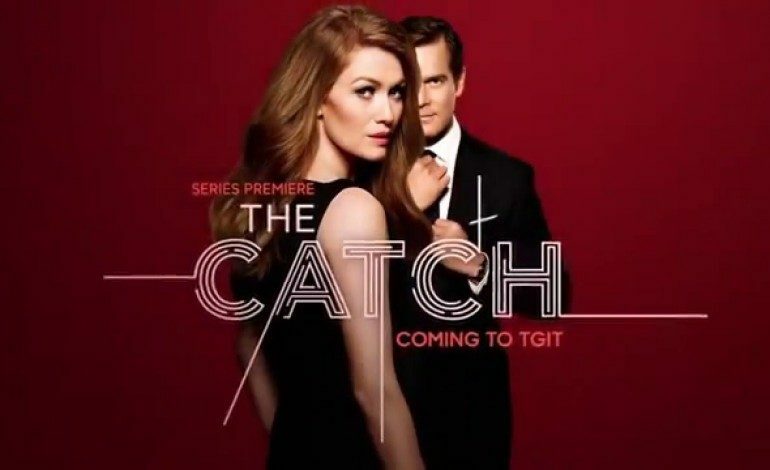 The Catch premieres Thursday, March 24 at 10 p.m. on ABC.